Jai Gouda! Jai Jai Gouda!! Goud Sangam initially started in 1907 by our forefathers. After various reforms and formations in the year 1951 Goud Hostel was established in Hyderabad by our legends. In 1954 Sardar Gouthu Lachanna Goud inducted as Minister in Late Tanguturi Prakasham cabinet in the combined state of Madras. 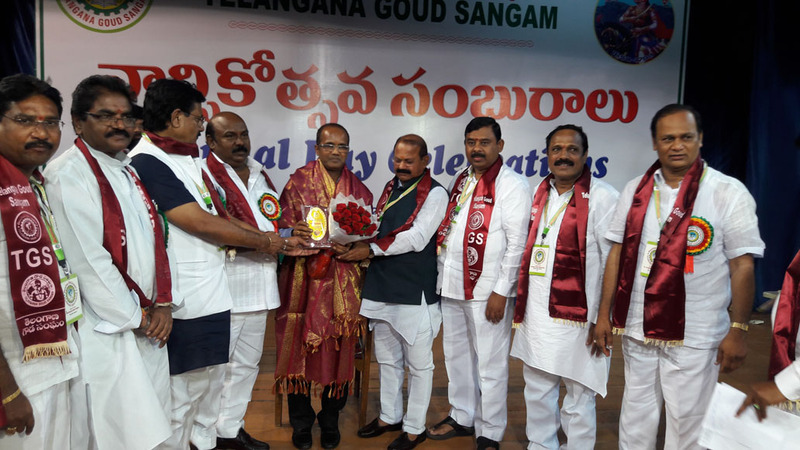 In 1956 Nizam Rashtra Goud Jana Sangam was upgraded to Andhra Pradesh Goud Sangam. 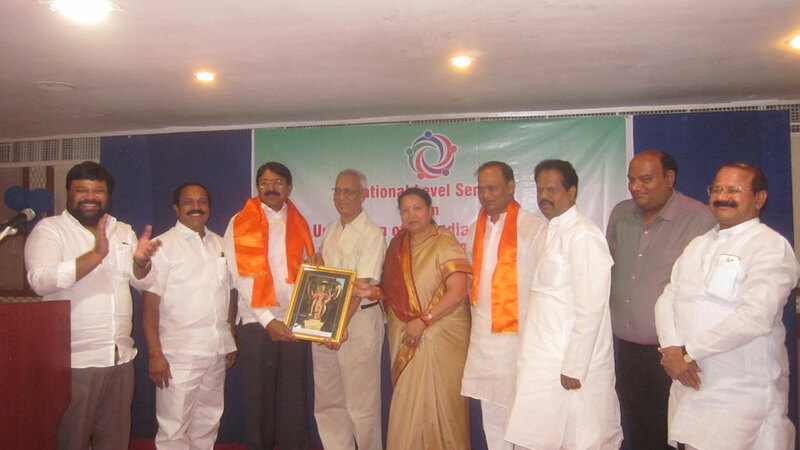 In 1972 the prominent Telangana leader Sri M. Mallikarjun Goud inducted as Central Minister in Smt. Indira Gandhi Cabinet. In 1973 a political awakening sparked in this community by sending to various legislative bodies viz. 1 MP, 4 MLAs, 2 MLCs. In 1992 a massive state Goud Maha Sabha was held at Nizam College Grounds, Hyderabad on 22nd March, 1992. 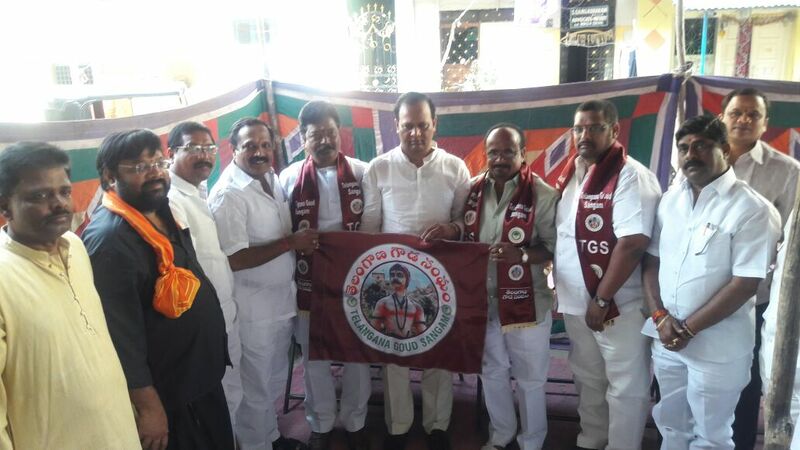 In 2002 the Andhra Pradesh Goud Sangam was reconstituted under the leadership of Sri T. Bala Goud. In Andhra Pradesh Goud caste is also called Gouda, Ediga, Settibalija, Gamalla, Kalaalee, Srisayana(Segidi), Yaata etc. The caste is included in the Backward Classes list of Government of A.P., at Sl. No.4, Groupd ‘B’ in G.O.Ms. No.1793, dated 24-9-1970. The amalgamation of tapper communities in the state under one name i.e. ‘GOUD’ [Ediga, Gouda(Gamalla), Kalaalee, Goundla, Settibalija, Srisaina (Segidi)] by issuing G.O.Ms. No.16, dt. 19-06-1997. H.No.3-6-573, First Floor, Beside Post Office, Goud Hostel Premises, Street No.8, Himayath Nagar, Hyderabad-500029. 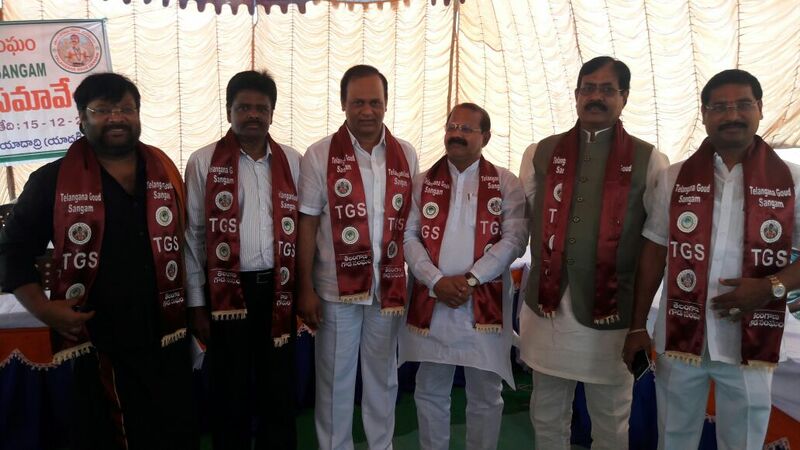 © 2016 Telangana Goud Sangam. All Rights Reserved.